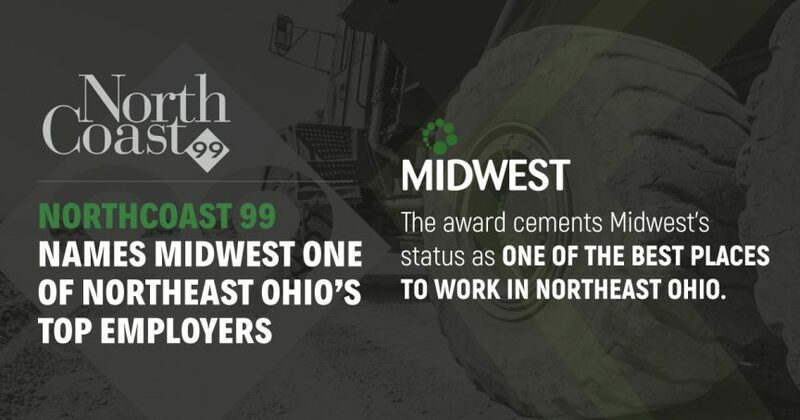 We at Midwest are proud to announce that we’re one of this year’s NorthCoast 99 winners! The NorthCoast 99 Awards celebrate the best 99 places for top talent to work in Northeastern Ohio each year. As an employer with a history of over 40 years in the Canton business community, we couldn’t be more proud to accept this honor. NorthCoast 99 is an institution in the Northeast Ohio area that was started in 1999 by HR consultancy ERC. Each year, NorthCoast 99 evaluates applicants for the program according to their ability to attract and retain top talent, looking at both the stated values of the companies they’re considering and data collected in employee surveys. The winners are later celebrated during an exclusive annual awards event in Downtown Cleveland. As we add more and more people to our growing family (over 120 at last count! ), Midwest couldn’t be prouder to be recognized among the Northeast Ohio business community as a quality employer. We’re a growing company that’s always looking for dedicated, skilled new people, and recognition from programs like NorthCoast 99 help us to attract more of the talent we need to innovate and grow. We want to thank the good people at ERC for accepting our application to be a part of your program, as well as the many members of our staff who made such an honor possible. We can’t wait to celebrate our shared achievement with the other winners at the award ceremony next month, and look forward to many more years empowering top talent in the Northeast Ohio area. For the full story, check out our press release on the award.